“My Endless Dreams” is a street-art project based on Sahar K Alford‘s personal experience of growing up as a member of a minority religious group in Iran. Because of her religion, she was denied the right to pursue a higher education. 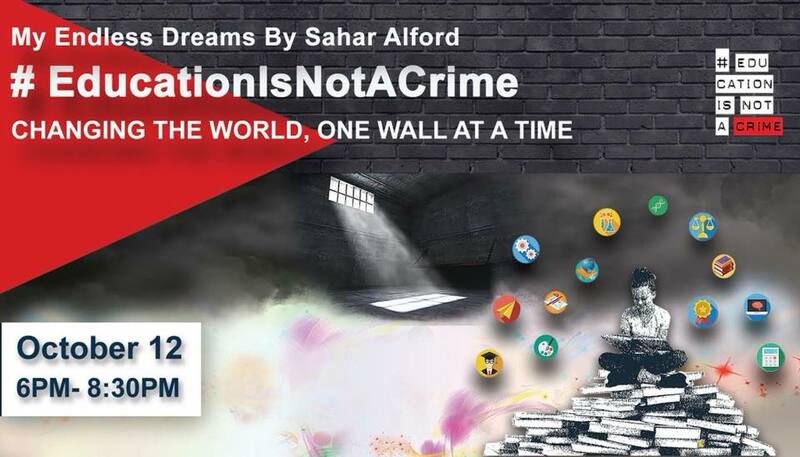 This project is part of #EducationIsNotACrime and the “Changing the World, One Wall at a Time” international street art and human rights campaign, promoting educational equality for the Baha’i’s in Iran. Sahar Alford is the Mobile Arts Council’s chosen collaborator who has been working with female residents from the James T. Strickland Youth Center to create this art project. The work will be installed and a reception will take place at 106 Dauphin Street on National Free Thought Day, Friday, October 12, 2018 during LODA Artwalk.